Colour. It’s the most exciting part of the process for me; deciding on the mood, the tone, the spirit of the print. My favourite part of the day is dusk, it always has been. There’s a brief moment, when the sun is saying its final farewell as we turn our backs on it. A luminous chink of light that bathes everything in its path; it never fails to stop me in my tracks wherever I am. The shadows are deep and dark but the golden light holds promises of a new day. In this print I have tried to capture that moment. This piece came together very quickly and was great fun to do. I was supposed to be doing other things really and I wasn’t due to start it until next week but I got the urge and I didn’t stop until it was finished (about midnight). I started by trying to get the basic shape of the hill; I really wanted to nail the strange shaped top and Google Earth became my friend in getting the right angle. 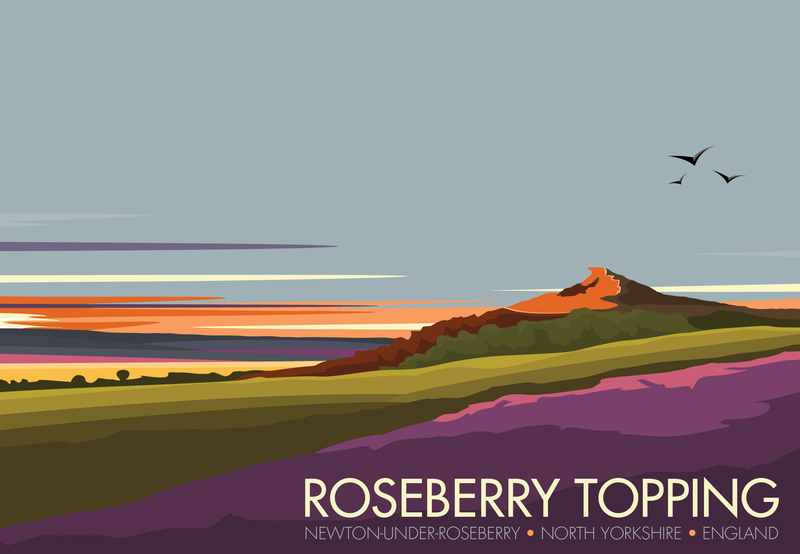 Next came the sunset and once I was happy with that, I knew what colours the landscape had to be. 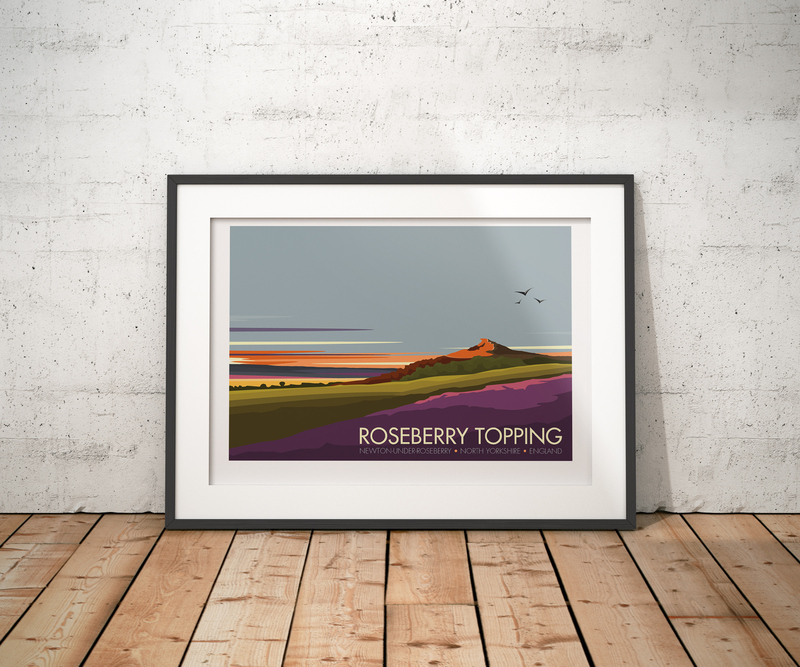 Of course I ramped the colours up a bit, after all this is art, however I am quietly confident that at one moment in the history of time Roseberry Topping (now owned by the National Trust) has been as colourful as this. I’m lucky enough to have some very loyal friends who like my work and make great suggestions for places that I wouldn’t have thought of. This idea came from one of those friends, thank you.